Title: Chicken Supreme. Medium: Watercolour. 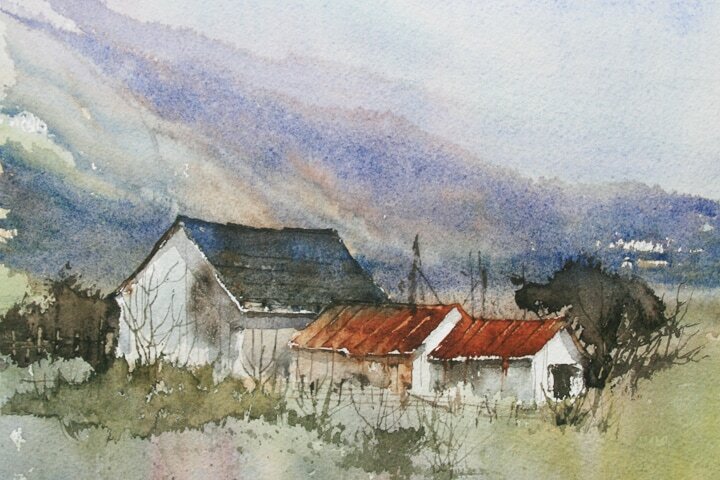 Size: 6" x 12"
Title: Blowing in the Wind, Medium: Watercolour. 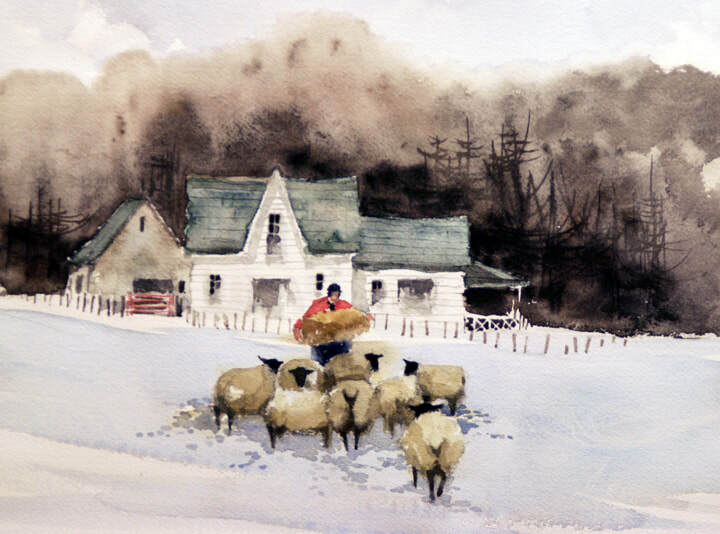 Size 10" x 15"
Title: Feeding the Woolies. Medium: Watercolour. 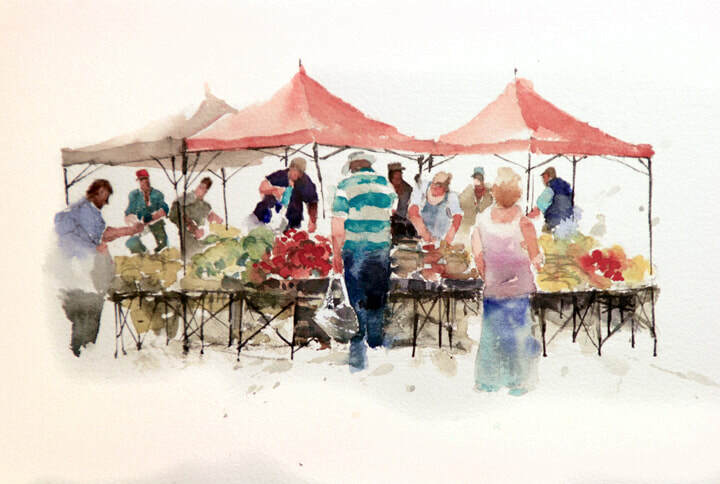 Size: 10" x 15"
Title: Saturday Morning Market. Medium: Watercolour. 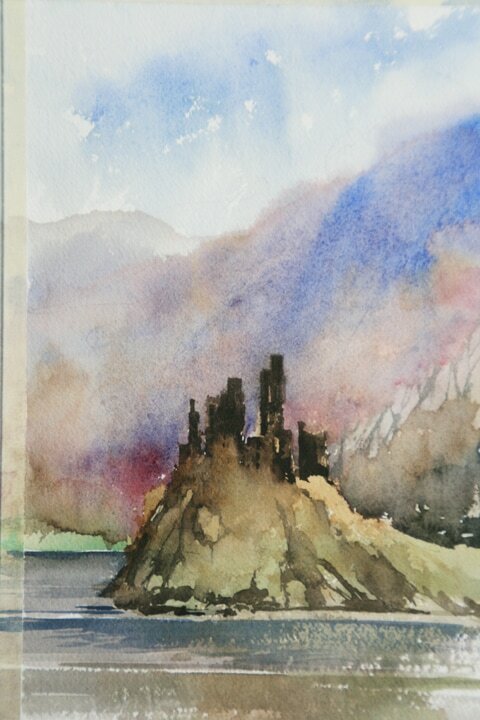 Size: 9" x 13"
Title: Durant Castle. 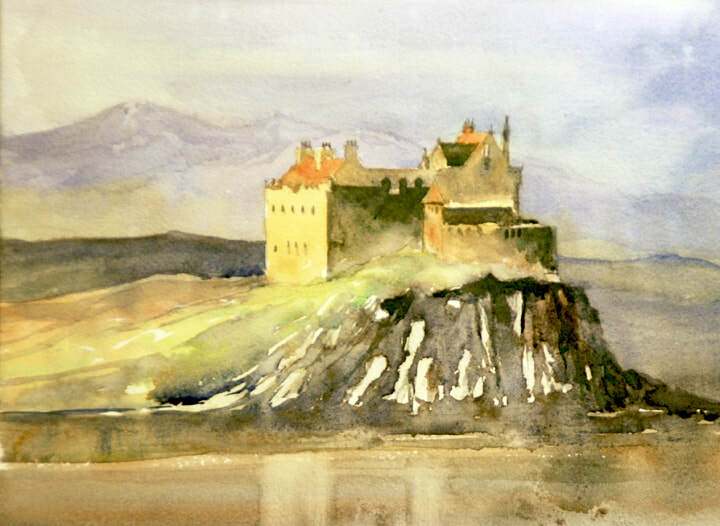 Medium: Watercolour. 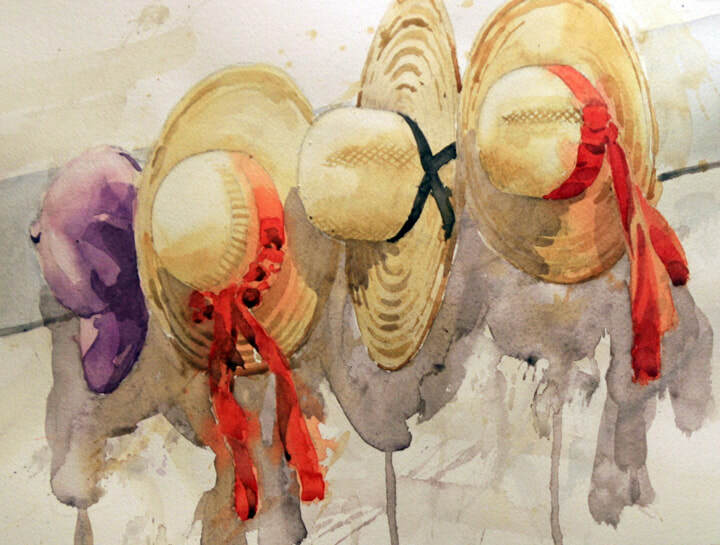 Size: 9" x 14"
Title: Sun Shades. Medium: Watercolour. 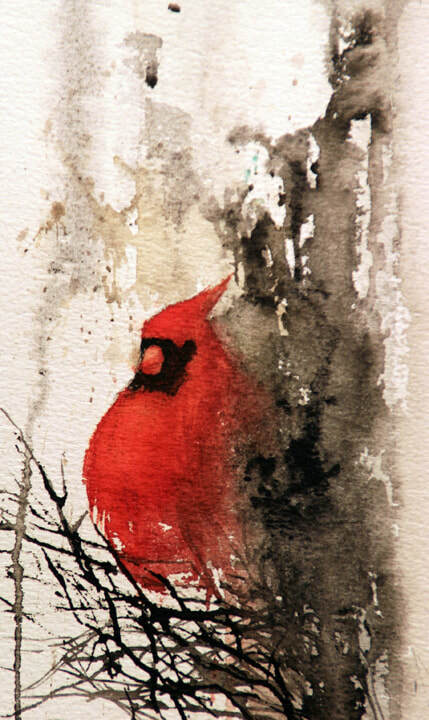 Size: 11" x 15"
Title: A Timid Visitor. Medium: Watercolour. Size: 5" x 10"
Title: Barn Lantern. Medium: Watercolour. 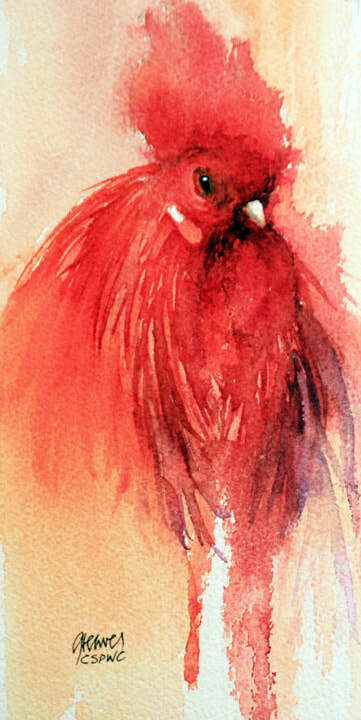 Size: 5" x 10"
Title: Colourful Visitor. 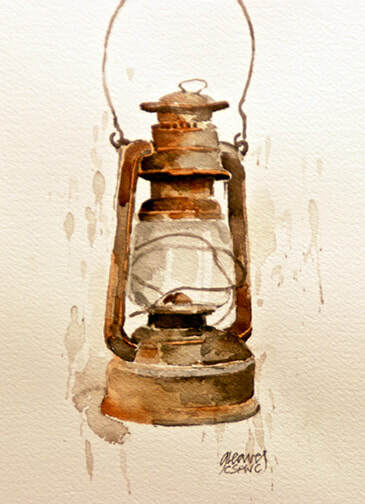 Medium: Watercolour. Size: 5" x 10"
David Greaves was born in Yorkshire, England. He attended Art School where he graduated in graphic design. 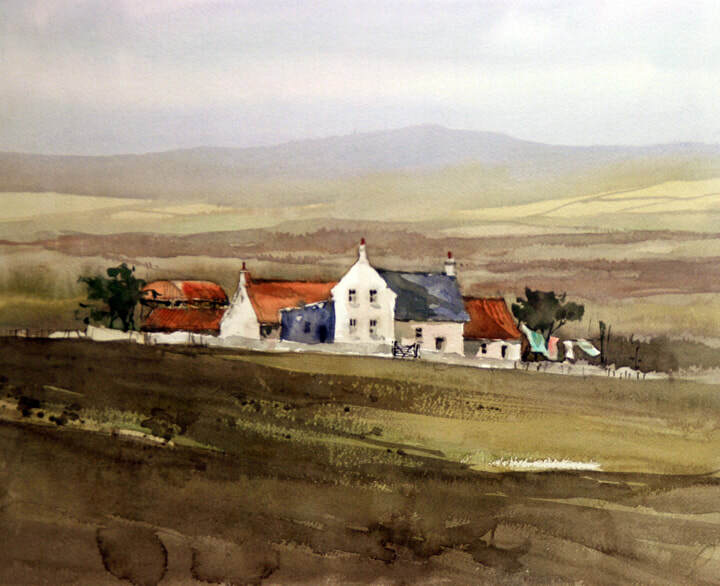 After arriving in Canada, David worked in several commercial art studios before opening his own design firm.Although basically a self-taught watercolourist, David’s work was influenced by England’s John Yardley and the late John Blockley. David has had several group and one man shows in Toronto, Scarborough, Markham, Millbrook, Lindsay, Uxbridge, Brockville, Mississauga, Port Perry, Kleinburg and Wellington Ontario. His paintings hang in many private and corporate collections, including the DuPont Foundation. 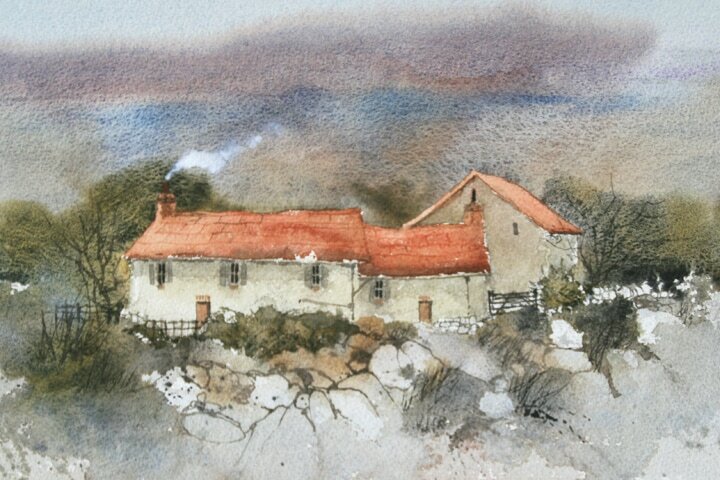 Despite a reverence for old rural buildings, David’s paintings also reflect landscapes, seascapes & floral. A subtle use of palette and light infuses David’s work with a serene and inviting ambience. 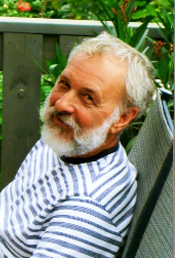 David is an elected member of CSPWC and works out of his studio home near Cannington, Ontario.